A lot of women tell me that they are nervous about riding with clip-in pedals because they fear falling off and injury themselves or worse still embarrassing themselves. I’m really lucky that my partner coerced me into riding my road bike with clip-ins from day one and I never looked back. My suggestion is that you view the step-up from a flat platform pedal to a clip-in system as an important one, an indication of growing confidence in your bike-handling ability. So to make it a bit easier here’s some background information about clip-in pedals and the different types and some tips to get started. I’ll focus mainly on road pedals and cleats because that’s what I know. There are however different systems available for mountain bikes and other types of riding. There are some good reasons why you might want to become more attached to your pedals. Clipping in can stop your foot slipping off when applying power, help align your foot to ensure maximum efficiency, and potentially aid your pedal stroke by allowing you to pull up on the pedal as well as push down. Broadly speaking, clipless (as they are known because they don’t involve toe clips) pedal systems can be split into two groups – those for fast road riding, and those for other types of riding, such as commuting, mountain biking and touring. The second type are often called SPD-style pedals (Shimano Pedalling Dynamics), referring to the Shimano brand that developed and popularised this style. Clipless pedals only work with shoes that have cleats attached. For road bikes, cleats have a three-bolt pattern, while the SPD-style clip-ins are a two-bolt pattern. Many road shoes offer the option to mount both types of cleats. The transition to clipless pedals can be confusing and scary at first. Most riders I know have an embarrassing story to tell about forgetting to disengage their pedals when coming to a stop and taking a slow-motion sideways tumble and I’m no exception. So here’s few tips to try and avoid your own embarrassing moment (s). When you buy clipless shoes the cleats won’t be attached; because of the number of different styles of pedals available, cleats are provided with the pedals and not the shoes. The cleats must then be installed on the shoes, and their angle and positioning lengthways is variable to allow for different riding positions. For a majority of riders, the best cleat alignment is to point them directly ahead, however some people with knee problems will prefer a slightly ‘toe in’ or ‘toe out’ pedalling position, and will alter the cleat angle accordingly. All but the most basic of clipless pedals provide scope for adjustment of spring tension. In most cases, the tension is adjusted by a small Allen key bolt at the back of the pedal; adjusting clockwise will tighten the spring tension, and anti-clockwise will loosen it. It is usually a good idea to start off with loose spring tension, and as you build your confidence up in clipping in and out, the tension can be ratcheted up. Before heading out for the first time it is a good idea to practice unclipping while leaning against a wall, or in a doorway or even with your bike on an indoor trainer. To clip in, move your foot down towards the pedal, feel the front of the cleat catch the lip of the pedal, push down and forward with your heel, there will be a ‘click’ as the pedal engages. Get ready to clip out as you start to break, pivot your ankle outwards, the pedal will release once float limit is exceeded, now you are free to put your foot down. Some riders have a dominant leg, but if you don’t have any particular habits for what foot you push down on when starting off from a standing start, it’s a good idea to leave the right foot clipped in and remove the left from the pedal. This way, if you lose footing or slip, you will fall away from cars rather than towards them, and you won’t risk damage to your rear derailleur. When commencing from a standing start, a couple of strong pedal strokes will clear an intersection and move you away from the worst of the congestion if riding in traffic. Once you’ve got this little bit of extra space, you’ll be less frazzled and able to safely engage your foot in the pedal if you haven’t been able to get it completely in first time around. It’s also important to keep an eye on the condition of your cleats, as they will wear down over a period of time. To prolong their life-span, it’s a good idea to swap them from one foot to the other when they’re about half-worn, as the foot that you click out at traffic lights will wear down quicker. You can also buy plastic covers often referred to as ‘café covers’ to put over the cleats when you’re walking. I use them and they’ve certainly prolonged the life of my plastic road cleats. My final tip is to buy some really nice bike shoes like my S-Works road shoes and you’ll enjoy putting them on every time. Like any new activity, it can be very daunting at first, but it’s certainly worth persisting. Go girl. It is bad enough when (male dominated) bicycling culture says things need to be this or that. But it makes me really mad and sad that there is a woman telling other women that in order to be brave and confident they need to up their game and ride clipless. No you don’t! You should try them if you want to. You may like them or you may hate them. Or you may find that you like them for some of your riding but not all of your riding (like I do!). But under no circumstances is it any reflection on your braveness or confidence if you choose not to use them. It is just a reflection on your preference. We’re all entitled to our opinion Nicole. Thanks for sharing yours with us. @Nicole: Why are you so upset? No one is taking away from your choice(s). People (Nicola included) are entitled to their opinions. Frankly, Nicola is correct. We lose 20-30%+ of tork without clips. Good cycling is about efficiency harnessing our power and clips are a part of that. A lot of women do suffer from excessive concern about what others think due to the crazy impositions that society heaves upon us. It makes much more sense for us to push ourselves to use all of the tools and efficient technology with which we are comfortable. I ride a carbon road bike and won’t ride anything else, but that is my preference. I don’t get upset with others who strongly advocate titanium, for example. RELAX and examine why you had such a vehement reaction. Ride and enjoy it, and allow others to do the same–in their own manner and style. Totally get where you’re coming from Nic. 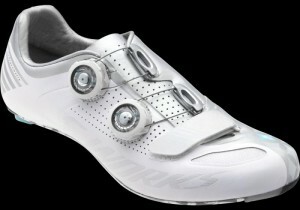 At first many people find clipless shoes are intimidating and add to the ‘edginess’ of cycling. 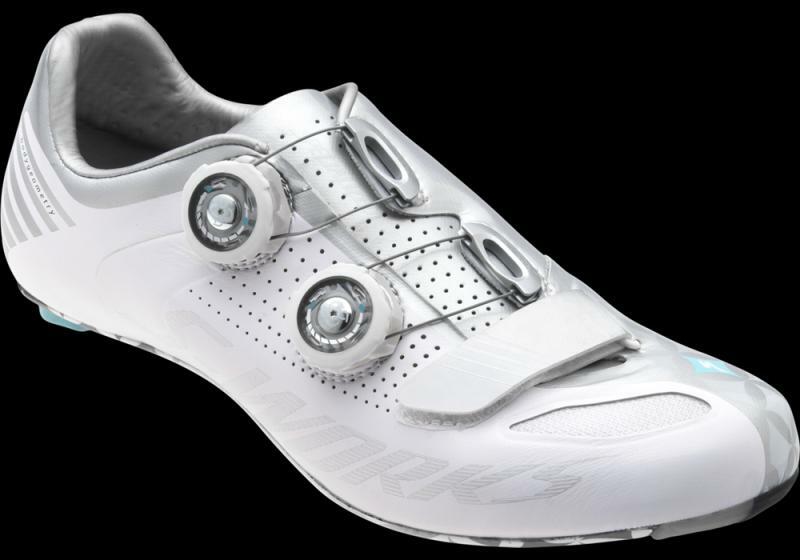 If you want maximum efficiency for your effort and comfort for your feet – modern cycling shoe/pedal systems are ‘it’. As for your correspondent Nicole – relax!! These are definitely intimidating but totally worth it in the end. I think everyone should at least try them and then decide if you want to stick with them, because they aren’t for everyone. Love your blog and thanks for sharing! Great blog,it sounds so familiar I thought it was written by my wife!